Sunset from the Trafalgar Park lookout. 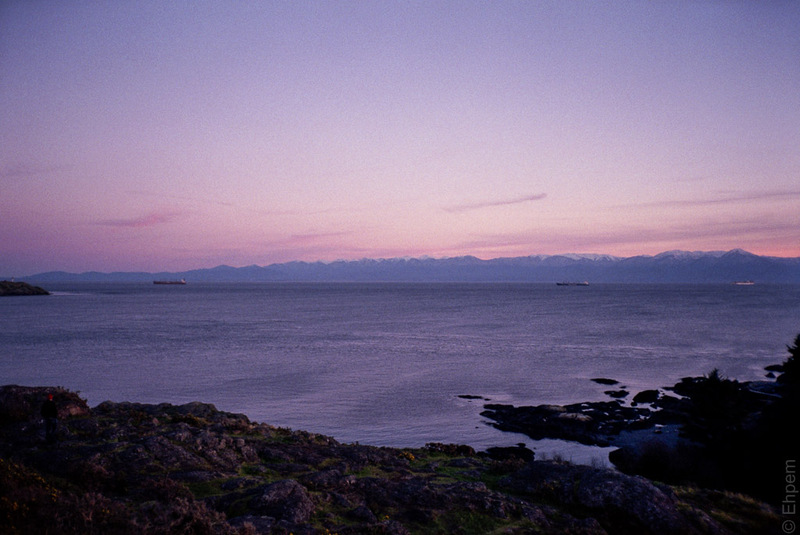 The lookout is on the “Marine Scenic Drive” – a tourist route around the waterfront. However, the tourists rarely get to see it like this as they seem to make their way along this route in bright daylight. Just as well since that way us locals get to enjoy these views without idling tour buses thrumming in the back ground.